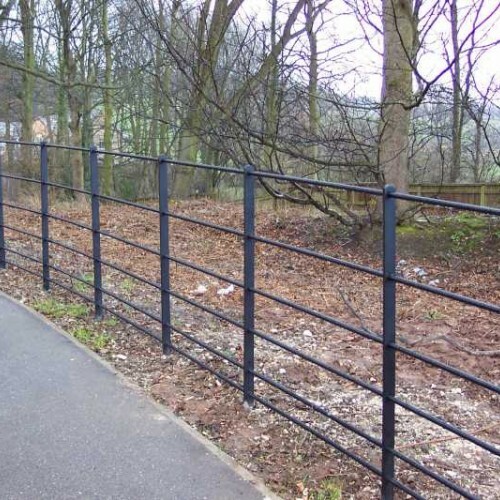 Heavy duty steel estate rail fencing that can be purchased in DIY kit form or manufactured to specific requirements. Self colour - To be painted by customer. Pre-finished rails available, please ask. 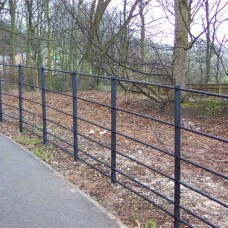 Matching gates can also be manufactured. Simply feed the rails through the posts, line, level and set. We recommend using Postcrete for fast setting fitting.